Our removable organic cotton Snuggle Me covers are designed to fit all Snuggle Me Organic Lounging systems. Made exclusively from ethically sourced, organic cotton which is grown to support the planet and to provide your baby with the safest material for a non-toxic space. Always great to have an extra cover on hand for those unpredictable messy moments. All of our baby items contain no: LEAD, FLAME RETARDANTS, LATEX, PHTHALATE'S and BPA'S. All of our materials are: breathable, organic, high quality and contain zero chemicals. 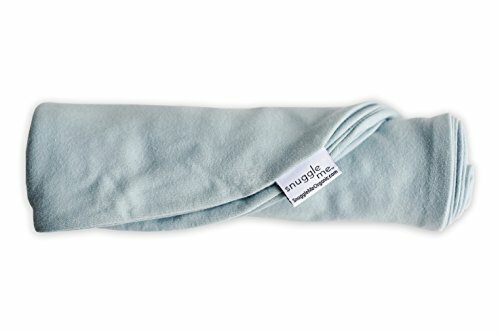 For more information about Snuggle Me Organic, please visit our Amazon home page at Simply Mommy LLC where we have additional photos, FAQ's, customer feedback, and a detailed help section in order for you to get to know your Snuggle Me Organic. View More In Floor Seats & Loungers. If you have any questions about this product by snuggle me, contact us by completing and submitting the form below. If you are looking for a specif part number, please include it with your message.